Join us for a Lenten series using the beloved hymn “Abide with Me”. Our services will begin February 14. We pray this series will be a blessing to all as we remember and thank the Lord for Jesus’ grace and atoning sacrifice for all. Series Theme: O Lord, Abide with Me! Worship begins at 6:30p at Berea & 7p at Grace. Berea will have a soup supper before the Ash Wednesday service at 5:30p and Grace has one every week at 6p. Service: Wednesdays at 6:30 p.m.
Service: Wednesdays at 7:00 p.m. This entry was posted in Events and tagged Abide with me, Lenten Worship. 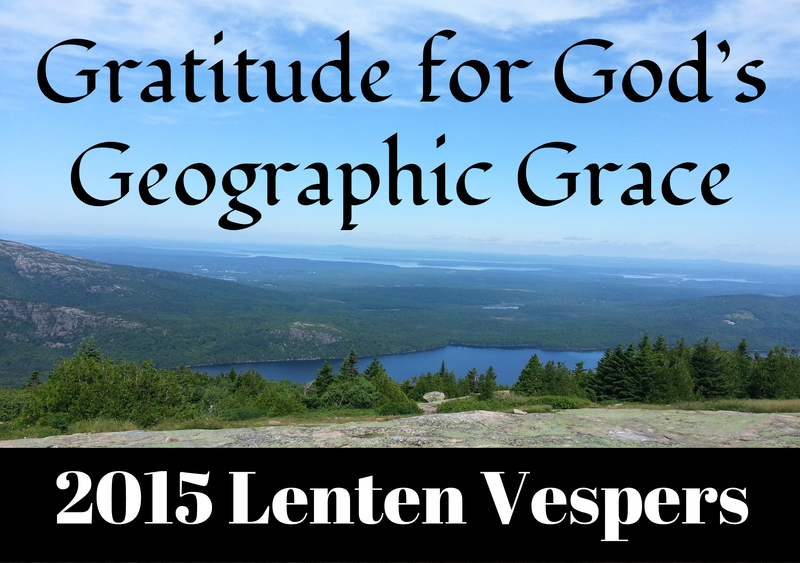 This entry was posted in Events and tagged Lenten Worship. 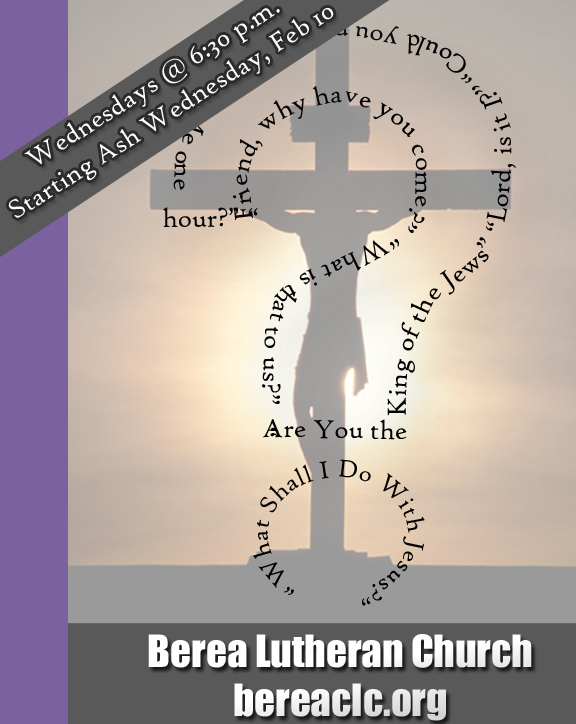 Beginning Ash Wednesday, February 10, Berea Lutheran Church of Inver Grove Heights and Grace Lutheran Church of Fridley will begin our Lenten season at 6:30 p.m. and 7:00 p.m. respectively. Our series this year will be “Probing Questions of the Passion” with a pulpit exchange involving area active and retired CLC pastors. Please join us this Lenten Season at Berea Lutheran Church and/or Grace Lutheran Church to examine these questions of the Passion of our Lord. Contact one of the pastors if you have questions of your own! Amidst your busy schedules, why not prioritize these services and spend some time meditating on the Passion Story and the great truths of our salvation found in it. All are invited to join us for a “Soup And Sandwich Supper” will preceding the service beginning at 5:30 pm. in the Berea Activity Center or 6:00 pm in the Grace fellowship hall. 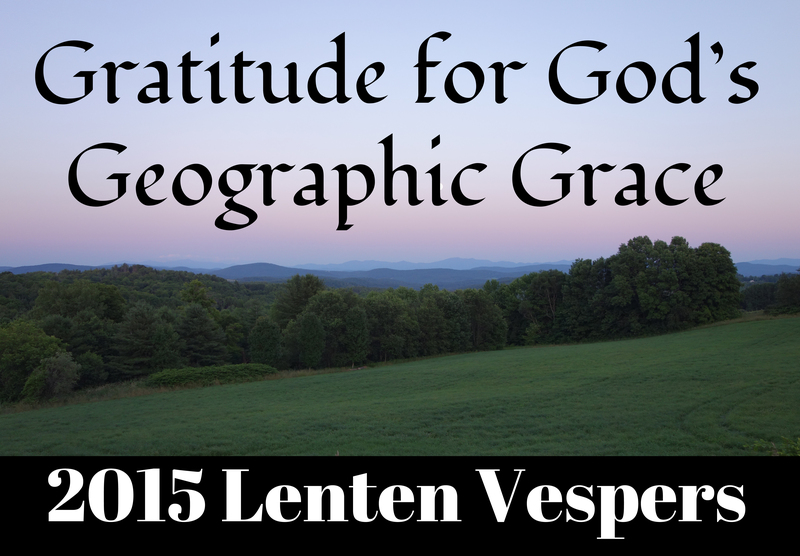 Join us for a Lenten journey through God’s Geographic Grace! Beginning Ash Wednesday, February 18, Berea Lutheran Church of Inver Grove Heights and Grace Lutheran Church of Fridley will begin our Lenten season at 6:30 p.m. and 7:00 p.m. respectively. Our series this year will be “Gratitude for God’s Geographical Grace” with a pulpit exchange involving area active and retired CLC pastors. 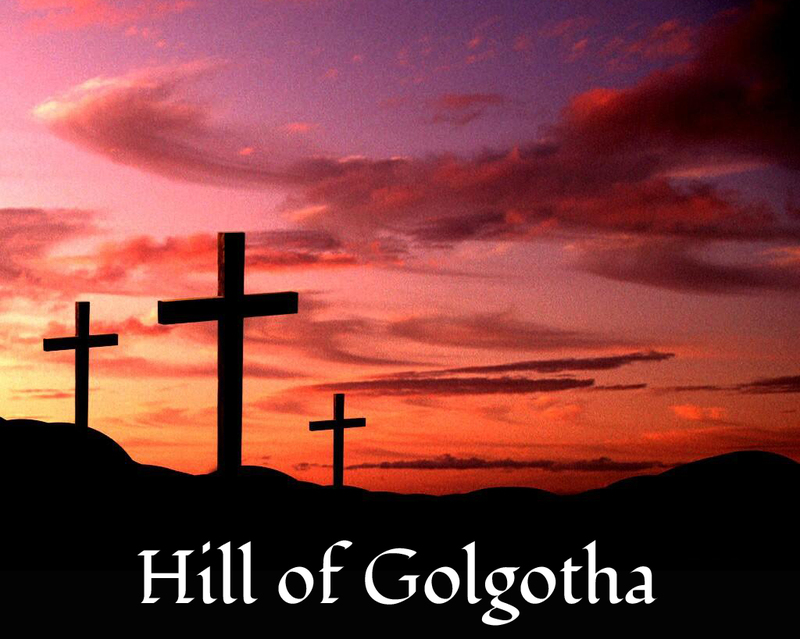 This journey will take us through the Fearless Valley, past the Life-Blooming Desert, over the Mountains of Mercy, near the Midst of the Waterfalls, into the Sin-Drowning Sea, and refreshed at the Soul-Satisfying Stream, to kneel at the Hill of Golgotha. Date: Wednesdays, starting March 5, 7:00 p.m.
Soup Supper: each Wednesday @ 6:00 p.m. 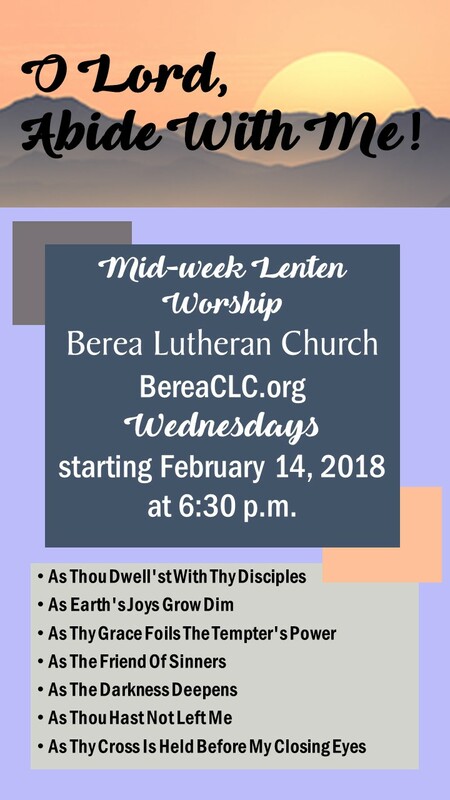 Date: Wednesdays, starting March 5, 6:30 p.m.
Soup Supper: Ash Wednesday, March 5 @ 5:30 p.m.